I hope you had a fantastic weekend and were able to find some time to relax and enjoy yourself, your friends, family, and loved ones. I was fortunate enough to be able to travel to NYC and spend the weekend with several of my best friends in celebration of one of their birthday’s. All in all, I couldn’t have asked for a more amazing experience. The Scap Push-up is a relatively common exercise designed to recruit the serratus anterior. 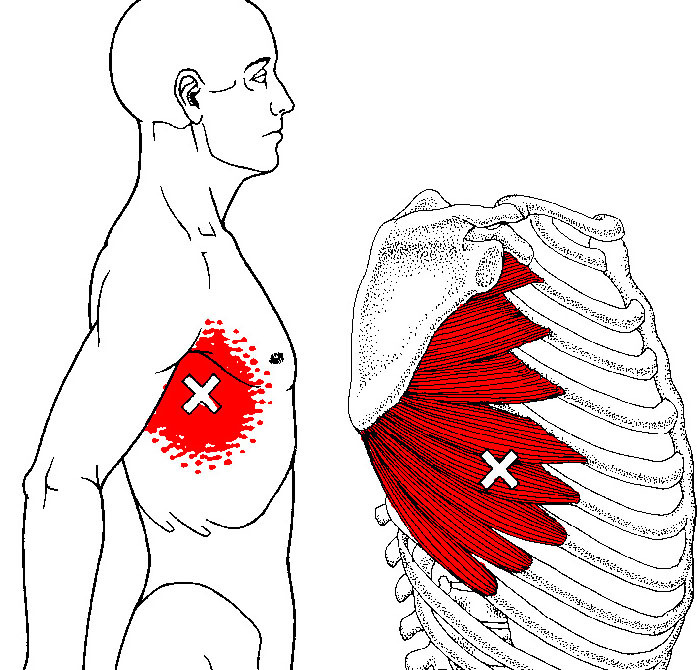 Sufficient serratus strength and recruitment patterns are essential for optimal shoulder performance but are, unfortunately, an often neglected component of the average trainees programming. In the video below I briefly describe why the serratus is so important and how to perform several variations of the Scapular Pushup. I hope you enjoy the video and, as always, if you have any questions, comments, or suggestions leave them in the comments section at the end. Effectively recruits the Serratus Anterior which will improve scapular stability and shoulder health/function. Personally, I find the plank position significantly easier to teach. I also “feel” it more in the plank position as opposed to the standard pushup position. The plank position allows for improved core stability. Get in the standard Plank position. Maintain a neutral spine, keep your chin tucked, and place your elbows beneath your shoulders. Keeping your abs tight, allow your chest to sink in towards the ground. DO NOT let your lower back cave in or allow your neck to shoot forward. Once you’ve sunk in as far as you can go, forcefully drive your elbows and forearms into the ground as hard as possible! Push up as far as you can go while maintaining a neutral spine. Repeat for the prescribed number of sets and repetitions. Frequency: Add a Scap Push-up variation into your warm-ups prior to upper body training sessions and/or on rest days. Intensity: This movement is not meant to be heavily loaded or taken to failure. Your own body weight is plenty of resistance and you can increase the difficulty by slightly elevating your feet.